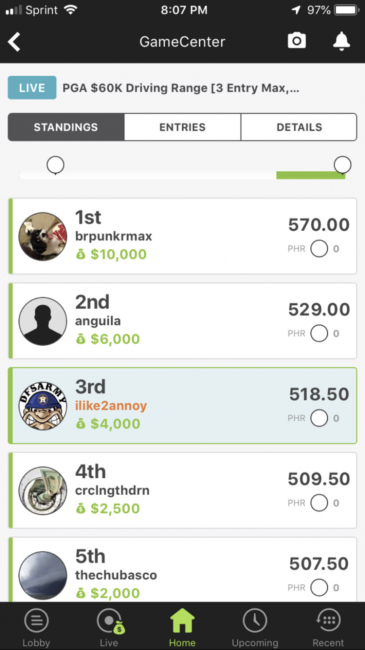 Congratulations to DFS Army member ilike2annoy on the $4K win at Valero, lets build on that this week! Overall for this group I found myself not being overly interested and instead I found myself going to a few of my favourites in the $9k range in order to make a better balanced team. I ultimately found myself trying to match the field on Finau, being overweight on Sungjae (20% to 8.94% average) and underweight/off entirely on Rickie, Kuchar and Spieth. I felt the $11K salary just was not justified on Kuchar or Fowler, and I have been fading Spieth entirely until we begin to see form out of him. Ultimately, with none of this group finishing inside of the top 15 in fantasy scoring I was fine to be underweight on everyone, but Im, although Im/Finau were the two worst performances out of these five. I wrote up in my player pool how I had the most interest in the middle of this group; Kokrak, Glover and An. I knew Kokrak would be the chalk, but was comfortable matching the field and I tried to be overweight on Glover/An. Ultimately these three came 2nd, 3rd and 4th fantasy wise outside of this group which definitely helped, a complete fade on Bjerregaard helped as well and being underweight on Horschel was great too. Unfortunately for me I was also underweight on Ryan Moore, who was a key guy to have for any GPP success. Missed cut, was one of the low owned guys I tried to be a little overweight on (10% to 4.5% field average). A cash game play and an overweight GPP play (18% to 10.74% field average) Dahman was in the middle of the pack on Sunday, but had a disastrous 8 over Sunday to finish at the bottom of the made cut leaderboard. MDF for Trey, as the week went on and I got onto Dahman/Niemann/others in this range I did get off of Trey as he only appeared in 4% of my line-ups. Overall, an alright week for me, while I would have seen more success with more Kuchar/Moore up top, I think I did alright for the most part on the top 10/15 salaries. Many guys not written up that were instead in my final notes I was overweight on including Si Woo Kim, but the lack of Conners/Moore in my lineups hurt and I was not able to get a 6/6 team with any combo of Moore/Kim/Connors in GPP. Specific to Augusta this year, we are seeing a ton of Rain today/tomorrow in the area, this will cause Augusta to play a bit longer than usual and while being long of the tee has never been a prerequisite for Augusta it will be slightly more important than in previous years. Wet greens can be a bit more forgiving and the undulation may not be as impactful as the course dries up. Because of weather it is looking like there may be a bit of an advantage to one draw over the other (Thursday AM/Friday PM). If you like a player from the other pool by all means do not go crazy and eliminate half of the field, but it is something to be mindful of and a factor in your final decisions. Course history is real here, first time guys consistently struggle and players who were dominant before I was born routinely come back and post top twenty’s – look for good Course History. 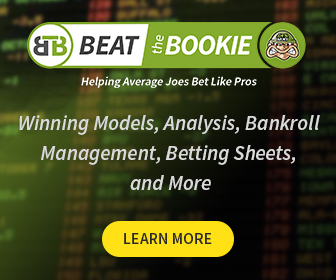 Rory and Dustin Johnson are in their own price range this week and rightfully so, as both guys have been absolutely electric lately, both have experience here and have great recent performances. The one thing that has eluded both is a win, but both are poised to be in contention on Sunday. You cant really advise against either guy coming in, I think the price point keeps ownership from being crazy and there is good reason to play both. I lean Rory with the way he has been playing, but no one will tell you you’re wrong for playing either of these studs this week. The final group where I would say every single player is fully justifiable and can be rationalized. I love this range for cash games in Majors, you can often load up and get 2-4 of these guys and build a solid team with a great shot of getting 6/6 through well having upside plays who have a legitimate shot at winning. Outside of Rickie, no one within this group placed inside of the top 15 at the Masters last season and Casey/Day are the only other two with a top ten as Fleetwood, Dechambeau and Koepka have failed to finish inside of the top ten here. Well they are all world class players this fact may distinguish those three as guys I have a little less of within this top tier of salaries. Before last week I would have written of Spieth entirely, but now he is a bit more interesting at his price given his noted history at this event, although I’m still not sure my final play, check back to my notes Wednesday. In this range I love Hideki, but I’m sure most do and he will be relatively highly owned as he has come top twenty four straight years at this event and is looking to be coming in with good form. I think this range a lot of my plays will be dictated by how we expect ownership to go and for that I will wait and see how the rest of the week goes. Oh yeah, also no Phil for me. Obviously we are seeing soft pricing for a major but I do think Kuchar is insanely underpriced and as a result he is probably the best value play for the week (our research station agrees). On the flip side, this probably means we see high ownership on Kuchar so you have to play weigh the pros vs cons – for Cash he’s a no brainer for me, for GPP you’ll have to check back to my final notes. Hoffman is another guy who seems to always play well here and showed great form last week with the second place finish. For this reason you’ll likely see him/Kisner carry a ton of ownership in this range but Charley is obviously is play. I am liking Si Woo for potential lower ownership in this range with Hoffman/Kisner as a guy who is playing well. Kim was in contention at Valero and after missing the cut at the Masters two years ago rebounded for a top 25 last season – we also know he can contend/win at these big events. In a week where there were not many viable options overall, and a very weak $8k range I decided to load up on multiple players in the $9k range and take my chances on a few players who normally wouldn’t be in the mix for cash games. The first decision was whether to pay up for one of Finau/Kuchar or get a few guys in the $9k range, I chose the later and that part ultimately worked out. The team was looking great after Thursday with all six players looking comfortable and/or having a real good shot at making the cut. Niemann fell back four shots on Friday and Julian Etulian hurt himself midway through the round and withdrew but was playing well before that (-1 through 27). Ultimately, I do not think I would change much on my team, I felt comfortable with my first three picks and all three performed well, Etulian was looking good and unfortunately suffered an injury, Dahman and Niemann had one bad round. If Etulian does not get injured I more than likely cash as well – onto the next week!